In the previous article (article 2) we discussed whether you need to find buyers or sellers first. Whatever you decided, at the end of the day, your wholesaling business will be dead unless you build a steady, reliable pipeline of motivated seller leads into your real estate business. This pipeline will be the source of all your profits. After all, without a property to flip to an investor, you really aren’t wholesaling much of anything. Once you implement your marketing plan, the idea is to start getting motivated sellers ringing your phone off the hook on a regular basis. This is no easy matter and will take work – especially considering that you’ll need to speak with as many as 30 to 40 sellers before you get a deal under contract. 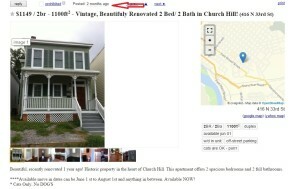 So the question is, how do you find motivated sellers in the first place? Although there are no easy solutions, the purpose of this article is outline three different strategies you can use to find motivated house sellers now! A successful wholesaling business that has achieved scale will ideally employ all three, though it can be quite common to see a business depend on only one type of lead generation method, which it has perfected and optimized. Let’s briefly talk about these, before laying out 3 specific marketing methods you can employ today and each one will fall into one of those 3 categories. Future articles will explore additional marketing methods in detail! Offline Lead Generation Methods: this is anything that doesn’t involve the internet. Direct mail, bandit signs, driving for dollars, newspaper classifieds, referrals and networking, door hangers, etc. Mostly off-line lead gen can be considered “outbound marketing”. It’s called “outbound marketing” because most of the time you’re reaching out to potential sellers first. Bandit signs are an exception since people see your sign and call you. Online Lead Generation Methods: These have really evolved over the last few years. If properly employed, these methods can be incredibly cost effective and scalable. 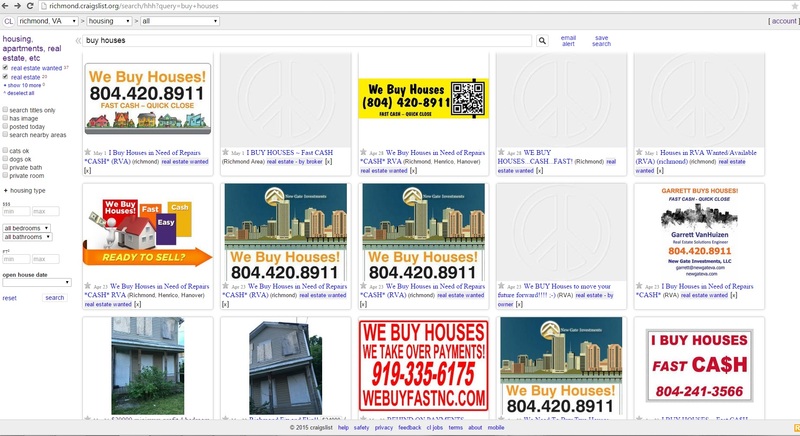 Basically this is anything that takes place on the internet: google adwords and local business listings, facebook and other social media marketing, Craigslist and similar sites, etc. So let’s talk about three specific lead generation methods you can put to work right now to get your phone ringing. “Money vs. Time” – what you will find when it comes to marketing is that the free methods will require a lot of your time, while the methods that can be employed quickly and scalably will involve a larger cash investment. 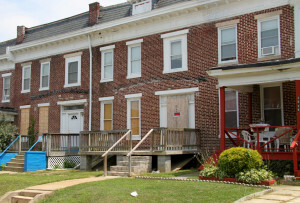 Investors LOVE properties in need of a major rehab. Those are the deals where the greatest profit or “sweat equity” can be achieved by the investor. The greater the work needed, the greater the discount to market value will typically be. In every city, there will be a few area that have a large concentration of these houses, and they can often be VERY easily spotted from the street. The cheapest way to find these houses is to simply drive around these neighborhoods. You should find at least 10 or 20 to start with, and these are usually highly motivated sellers. Look for boarded up doors/windows, unkempt landscaping, missing gutters/downspouts, peeling paint, rotten porches, etc. Get the house number, and from there you can check your city or county tax records to see who the owner is, and their mailing address. Send them a letter and also find their phone number from sites like Whitepages.com. Very often, if the house is abandoned or vacant, you will find that the county records will show the billing/mailing address of the owner to be different than the vacant property address. You can send a letter to the owner at their actual mailing address and offer to buy their property. You can also make a list of all the homes scheduled to be sold at a foreclosure auction (look in the Trustee’s Sale ads in the legal notices section of your local paper) and go knock on their doors. While this may not be the most fun or efficient way to connect with sellers, knocking on doors is guaranteed to get you talking with motivated sellers, and is better than sitting around and waiting for sellers to come to you. Success Shortcut: instead of doing this yourself, simply hire a bunch of “bird dogs”. A birddog is someone that will scour various neighborhoods for you, find vacant houses or ones that look like they’re in need of repair, and pass those leads on to you. In return, you will pay your bird dog a finders’ fee of $500 to $1000 once you close on a particular deal they referred. I know successful investors that have literal armies of these birddogs in different cities and it’s a very effective way to get leads on great properties without leaving your home or doing much work! As the old saying goes, it takes money to make money. It takes an investment to get a return, so if you want to get your phone ringing, you may want to consider investing a few dollars upfront to find motivated sellers. Remember, it is not uncommon to earn $5,000 or more on a successful wholesaling deal. But if you don’t have a seller, you’ll never see a penny of that payoff. 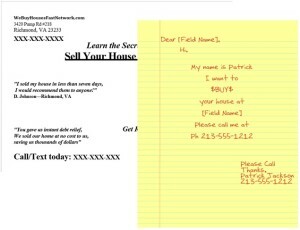 The most tried and true marketing method for investors is to send out direct mail, meaning letters and postcards designed to reach the right people and get them to respond now. Direct mail is more sophisticated than you might realize. You will often be able to target your campaign based on specific neighborhoods, number of bedrooms and bathrooms, and more. You can also make lists of homes in foreclosure, probate, with tax liens, etc. As a result, you can choose to target recipients who may be more likely to be in possession of a distressed property. When you’re first starting out, you’ll need to test out mailing to different lists and test different mail formats: yellow letters, postcards, regular letters, etc. You should also test out different messaging and copy. That way you can calculate your true response rates and return on investment. If I were starting all over, I’d start small and expand from there. Send out 1,000 mailers per month, religiously. Then 1,500. Then 2,000. It’s ultimately a numbers game, and after a while you can begin to predict your response rate and how many sellers you’ll be talking to. Sometimes the most obvious and simple solutions are the best. If you’re short on money and have some time to spend online, you can start finding motivated sellers (and also buyers) on some of the most commonly used website. 1) For sale by owner ads. This is the obvious one, but you’ll be surprised how few people regularly scan these listings. Once in a while, you may come across a great deal that you can flip to another investor. 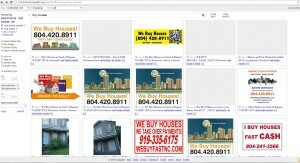 Search for properties that meet your or your buyer’s criteria. You will need to systematize this process and make sure you’re checking this page daily. If a good deal hits the listings area, you want to be the first contact the seller! 2) Rental Listings. This is going to be hit and miss and you’ll need to contact a lot of people before you get a deal. Look for properties that have been on the rental market for a long time, offered by private owners (not leasing agents or property managers). The idea is to find landlords that are having trouble renting out their properties and are tired of managing them. You will come in and offer to buy their property “as is” and take the headache off their hands. “Hi. My name is ____ and I was wondering if you would be interested in selling your rental property at _____. I can take this property off your hands in “as – is” condition and close quickly. Please reach out to me if you would be open to discussing this”. This is just an example – play around with your own “copy” to find the most effective message. I also recommend giving people as many ways to contact you as possible. Some people like talking on the phone. Others prefer email. So give them both. Note: Keeping your listing at the top of the search results in Craigslist will require you to frequently refresh your ad (or repost new ads). Once every 24 or 48 hours is ideal but be careful not to overdo it. 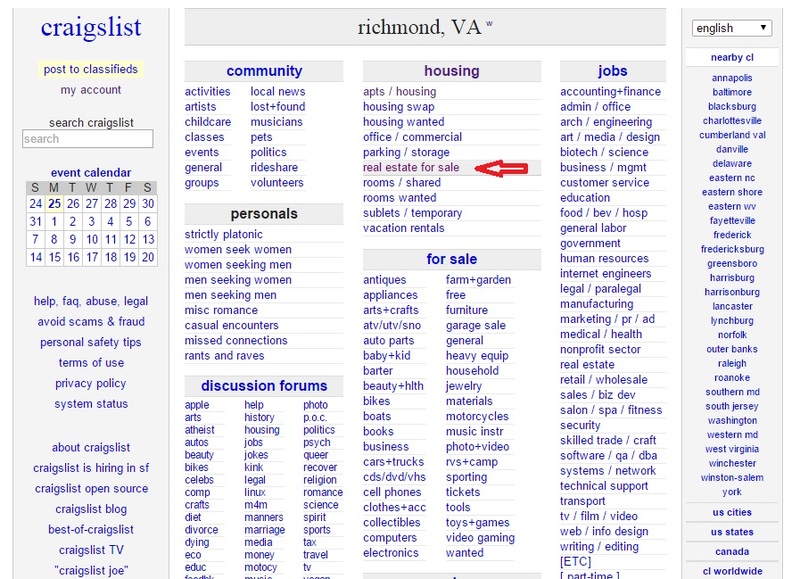 Craiglist is known for “ghosting” ads or making them invisible to other visitors, while keeping them “active” in your own search results. The strategies outlined above, especially the “driving for dollars” and the craiglist strategy are basic and free. I gave you these first on purpose because they are easy to implement and don’t cost anything other than your time. As soon as you make your first profit in real estate you should be making every effort to start leveraging other people. So even the free strategies that require time should be done by someone else. For driving for dollars, you can hire birddogs. 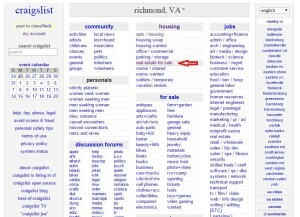 For Craigslist, you can hire cheap VAs abroad to help you. In the coming articles, we’ll talk about additional, more advanced deal-sourcing strategies, including some highly powerful online lead gen ideas! [SOFTWARE] Don’t have Rehab Valuator Premium yet?!? What are you waiting for? Upgrade here asap! THANKS Daniil for the valuable information you shared as always much useful for the beginner or seasoned investor I will continue to use this information through out my investing after all it will never get old!!! You’re welcome, Willie! Glad you like the info! More good stuff on the way! How do you calculate repairs virtually, my property is out of state, the realtor don’t have the info & the owner don’t have a clue, all I have is photos.. Thanks in advance.. Someone needs to look at it. Preferably someone you trust. You must get another investor or contractor that you trust that has experience in estimating repairs to do a walk through of property and give you a number. There really is no other good way. This is really helpful information thank you. You have shared so much information. I never thought I’d enjoy reading and watching videos of case studies so much. =) The information you share is very valuable. I never realized the numerous angles to make money in real estate. I keep having all these different light bulbs going off in my mind with new (to me) ideas I can test and implement. Thank you for sharing and keep them coming!! Being a beginner in wholesaler what way would be the to build a cashbuyers list? The link for direct mail marketing sends me to an error page. Is there another link I can try? Hi Rachael. That was an old link. I took it out. It went to an outdated video. We’ll be uploading some newer direct mail training soon! Hi Daniil, I enjoy watching your videos. They are always so educational and informative. However, I’m struggling with getting my deals funded. What is your advice for someone without capital? How do I get started with increasing my income? We always say: “Get to know YOUR LOCAL STATE LAWS!”, as they all differ and also change constantly. Good points, Taylor!